A road trip to Valparai from Coimbatore was on my mind way before I landed in Coimbatore. 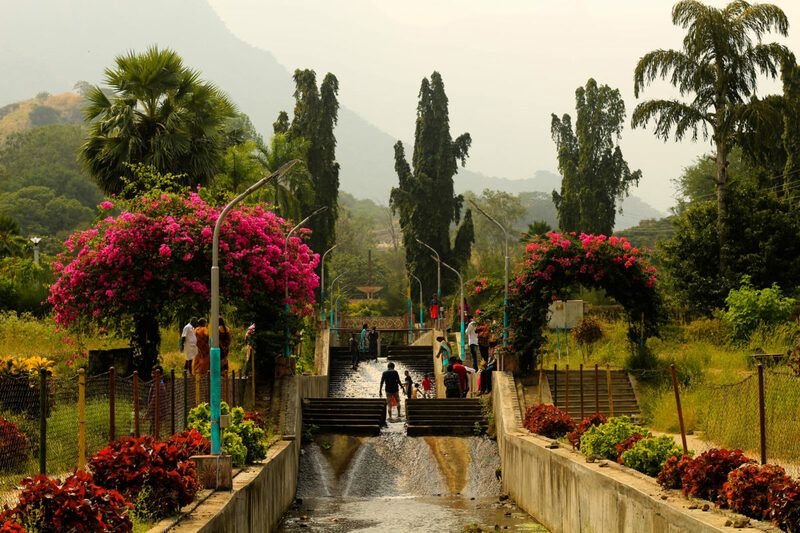 I did my due diligence and I knew there is nothing much to do in Valparai. But the road trip is scenic beyond words and hence comes highly recommended. 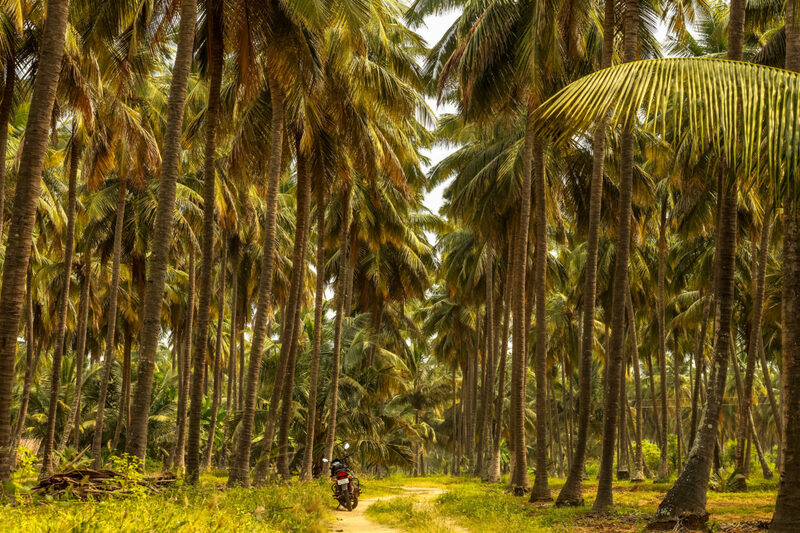 And when it comes to a road trip, do we have a better companion than Royal Enfield? I guess not. So, no point for guessing who is coming along with me to feel the chilly breeze of Valparai. 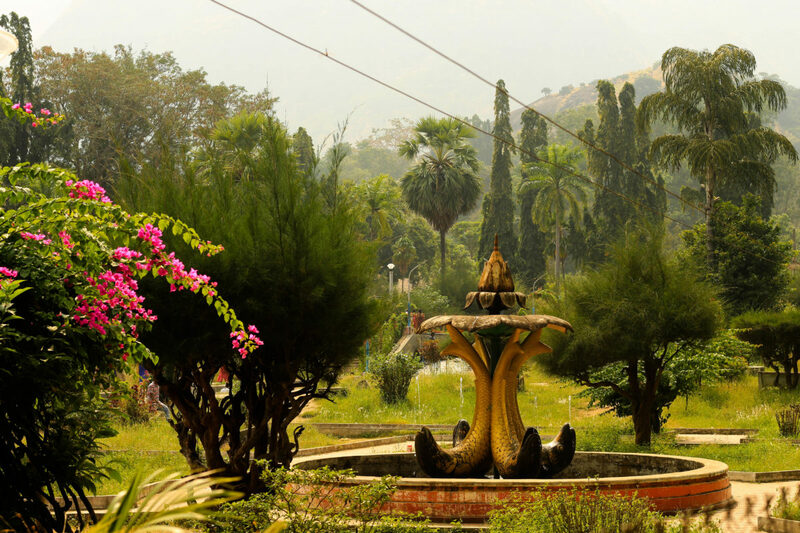 Coimbatore to Valparai is close to 100 kilometres and there are quite a few attractions en-route as well. So it was going to be a long journey with a few pit stops. Having heard so much about the scenic route I was excited to bits to experience it myself. We planned to start early as we wanted to get back by the end of the day. But as luck had it we couldn’t leave for Valparai till noon. The delay didn’t concern me because I was sure that the efficient Royal Enfield would help catch up on the lost time. One hour into riding and we reached our first pit stop, Pollachi. Pollachi is the second largest town in the district after Coimbatore. It is green, clean and picturesque. Most part of the ride till Pollachi included getting out of the city so I didn’t expect many views. But as we approached Pollachi there was a significant change in the landscape. The roads got better, the vehicles on the road became scarce and the greens increased exponentially. The scenery started to feel like a visual treat, very similar to those tropical postcards that your friends and family send from their foreign holidays. I had read a lot of articles about this road trip and almost all of them suggested to take a break at Pollachi. But I didn’t take any because of the comfortable ride on the Royal Enfield. I could not have gone without a break on a Mahindra Jawa with its poor handling. 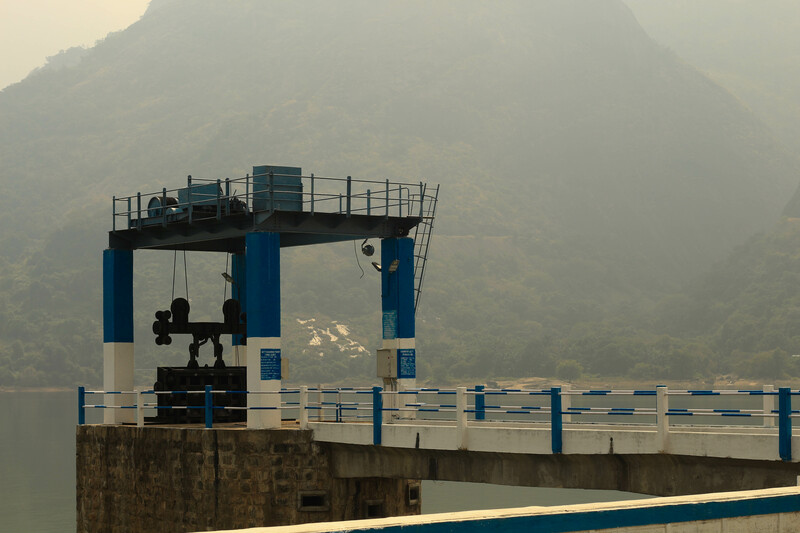 We continued straight to the next stop, Aliyar Dam. Aliyar Dam arrived way before I expected. 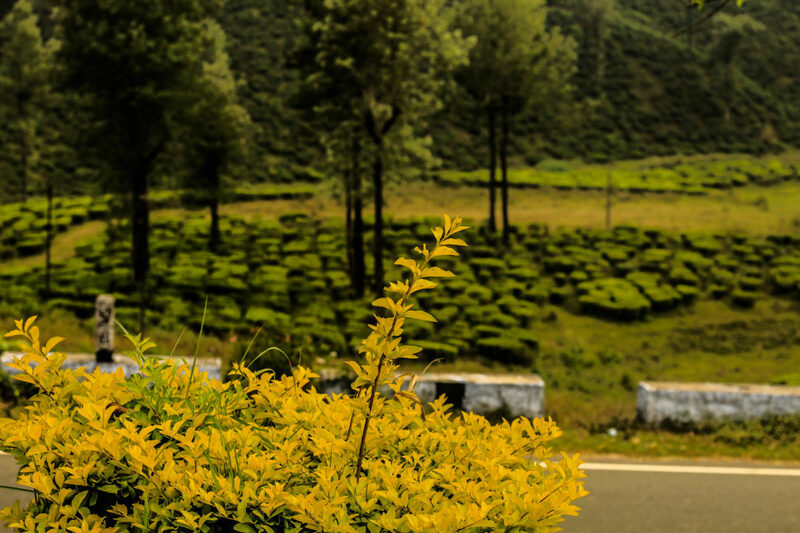 It is located in the foothills of Valparai. There is a very well-maintained park at the bottom of the dam. Through this park, one can easily see the reservoir. There is a minimal fee to enter the park and some steps to climb up to see the beautiful Aliyar river. The primary purpose of the dam was to support the irrigation but now it is a huge public attraction. 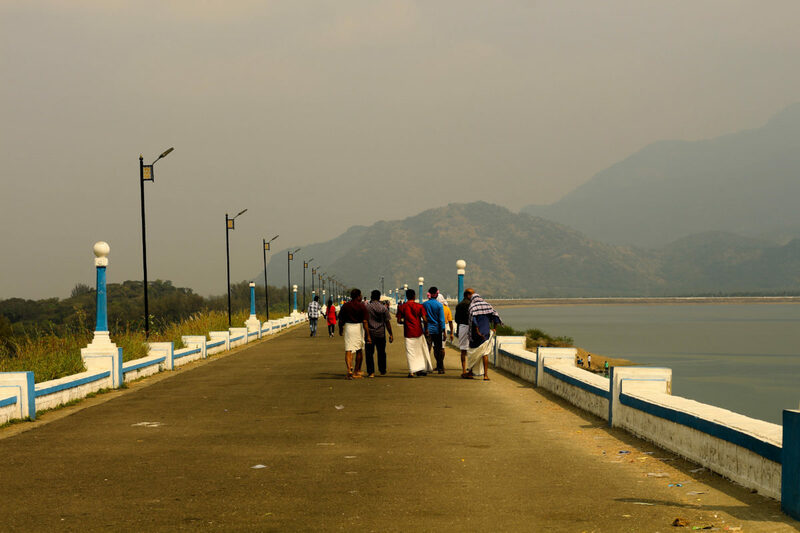 The view of the dam with the backdrop of the Annamalai range is a sight to behold. We spent a considerable amount of time at the dam. The next spot was Monkey falls but I wouldn’t talk about it. I will not suggest anyone to go there as well. The boisterous crowd of bare chest men, women clad in wet sarees and kids splashing water under the falls is not something I would suggest you to make a stop for. Life is way better on the roads. The next highlight was when we entered the Annamalai Tiger Reserve. There is a small entry fee for two-wheelers as well as four wheelers to go through the Tiger Reserve. Annamalai Tiger Reserve is a protected area located in the Annamalai Hills of Pollachi, Valparai and Udumalpet taluks of Coimbatore District and Tiruppur District. 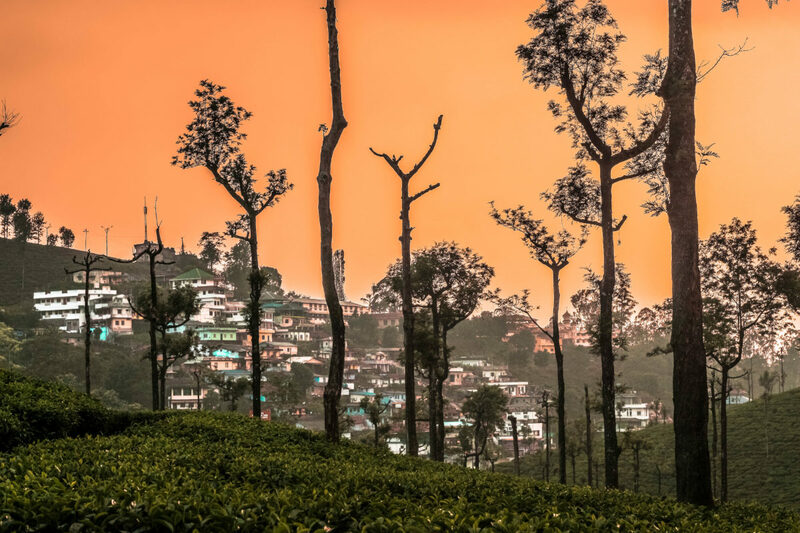 The real magic starts after that, the temperature drops, there is a nip in the air, there are more mountains in the view and soon the beautiful tea gardens make the appearance. How can I not mention the forty hairpin bends along the way? The road trip could have been hard on the back had it been any other vehicle apart from the Royal Enfield. The comfortable pillion seat with the ergonomically positioned backrest is perfect for such long road trips. The sturdy and simple build of the bike makes it apt for all kinds of terrain. It would have been really tough on a Mahindra Jawa for instance, the seats are so uncomfortable and ride much rougher. 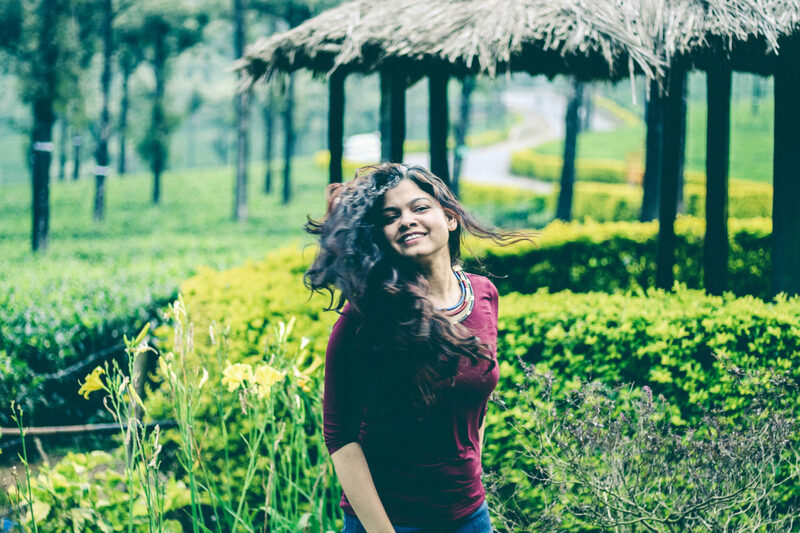 The only reason we stopped in between was to get some tea and click pictures amid the bright green tea plantations. The two hours of mountainous terrain got over in a breeze, all because of the comfortable ride. 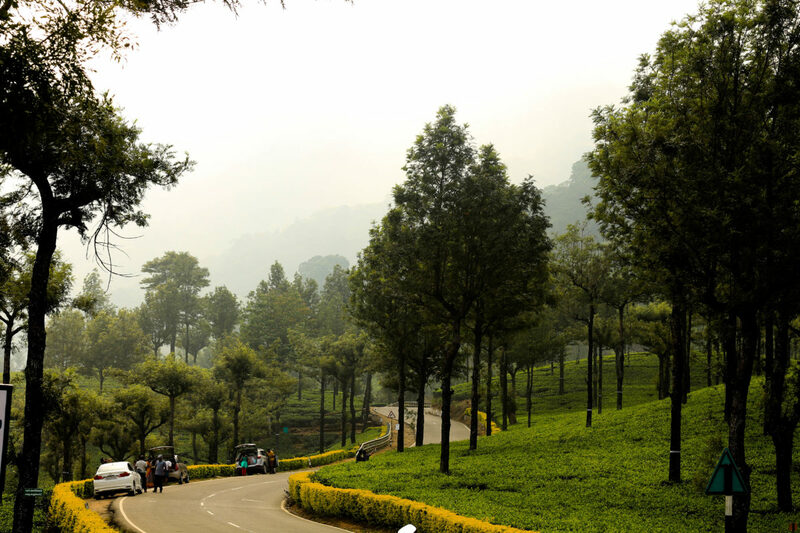 We reached Valparai cruising smoothly through the zigzag roads amid the refreshing tea plantations. Valparai is a quaint hill station located 3,500 feet above sea level on the Anaimalai Hills range of the Western Ghats. While we were returning to Coimbatore on the same day, there are a few hotels and homestays just in case you plan to spend the night. Most of the Valparai area is owned by private tea companies and the rest of the area is all dense forest. Unlike the awkward steering in the Mahindra Jawa, the Royal Enfield was such huge support navigating the narrow lanes of Valparai. After spending some time, we decided to head back to Coimbatore. While usually, the return journey is tiresome this one was totally different. We couldn’t wait to get on the roads again, all because of the ride on the beast, our beloved Royal Enfield. If you don’t plan to stay at Valparai, start your trip early. This will get you enough time to stop and enjoy the view and take pictures (if that interests you). Choose a comfortable ride for the road trip. Royal Enfield is the best choice that you have. In case you have some elderly company then take a four-wheeler for the drive. After Aliyar Dam, there are not enough options to eat. So if you are someone who gets hungry frequently, carry a lot of snacks. Anamalai Tiger Reserve is a protected area. While driving through it the speed needs to be monitored so always keep a check on the speedometer. The temperature drops after you enter Anamalai Tiger Reserve. So, if you are riding and someone who feels cold then carry a jacket with yourself. I didn’t spot a lot of petrol pumps after we entered the Anamalai Tiger Reserve. So, make sure you are fully equipped in terms of fuel. Looks like an interesting trip. Valaparai and the hairpin curves are amazing. Things that you should take care when you visit Amer Fort. The Not So Haunted Bhangarh Fort !